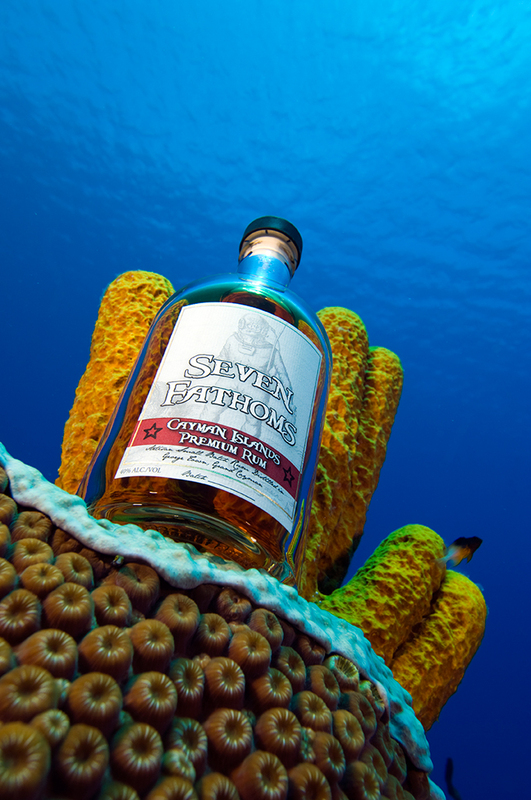 “We are very pleased with this result in our first ever tasting,” said Michael Kennedy, one of the co–founders of Seven Fathoms Rum. Seven Fathoms just had its official launch in May. The spirit, which is being marketed as a premium sipping rum, uses a unique underwater maturation process. Oak barrels are filled with the distilled rum and dropped to a depth of 42 feet – or seven fathoms – and allowed to age there. The idea is that the constant motion of the sea tides quickens the aging process, partially because of the rum’s increased interaction with the oak. As a result, the rum takes on characteristics – like smoothness and colour – of much longer aged spirits. Although Seven Fathoms is thought to be the first rum – or any other spirit – to be aged underwater, French winemakers have used the underwater aging technique and recently one of France’s oldest champagne makers also tired the process. The rum is only sold in bottles at Big Daddy’s liquor stores. In addition to the retail sales, Seven Fathoms is available at several bars and restaurants, including The Ritz–Carlton, Grand Cayman, Breezes by the Bay, Sapphire and Mezza. Mr. Romanica said the rum has become a popular purchase by tourists. Seven Fathoms Rum also appears in the September 2008 edition of Caribbean Travel & Life. The increasing demand has stretched the limited production capabilities of Seven Fathoms. “Our absolute focus right now is trying to increase production,” Mr. Romanica said. “We’ve brought in some more people to work in the distillery and we’re expanding the facility. Discuss Seven Fathoms in the forums.